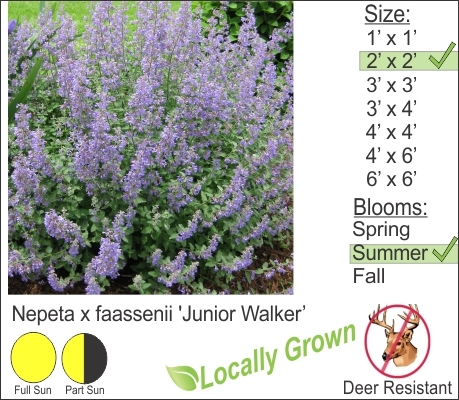 Junior Walker Catmint is an excellent low spreading flowering perennial for the Hudson Valley. Deer resistant silvery gray / green foliage cascades off retaining walls producing flowing lavender flowers in the summer. This is a better alternative perennial to plant instead of trying to grow English Lavender in the Hudson Valley which can be difficult for beginners.